2013 ~ I Can Do That! After so many years, I finally was able to make "almost as good as the original" Aplets and Cotlets. These jellied fruit candies are my Christmastime favorite. The candies are very similar to the French jellied fruit bars pâtes de fruits. I like that the candies are not too complicated to make and are moderately sweet. I'll definitely make more with other fresh fruits such as pineapple and cranberries. Philippine-style biscocho is a super crunchy twice-baked yeast bread. There are 2 kinds of Filipino biscocho, the plain ones and the sugared variety which I prefer specially with thick chocolate drink or with coffee. I made sweet biscocho 5 years ago with regular white bread. This time I used pumpkin brioche shaped into loaf and they came out really really really good. I love our Korean grocery store. It stocks sweets and treats from various countries, not just from Asia. The store has lots of items from Greece, North Africa, Middle East, North Africa, and lots of yummy stuff from Turkey. Yesterday, I picked up a packet of Turkish candy floss or cotton candy called pişmaniye which I read about many years ago. The one I got has ground pistachio. The cotton candy is sooo good, very light and not as sweet as ordinary candy floss. Today I made simple milk pudding served with a little pişmaniye on top. Delicious! You just have to try it. I'm still in my pumpkin love period and added puree into a brioche dough. To half of the dough I added pumpkin seeds and shaped into a medium size "brioche a tete" and a few teeny tiny ones. I divided the other half into eight portions and filled them with sweetened and pie spiced pumpkin puree. I love them both. They're fragrant and slightly sweet; very autumn-y. When I joined a baking community a few years ago, a lot of bakers recommended Italian 00 flour which has a lower gluten content and is finer in texture than American all-purpose flour. They promised the pizzas and breads made with this flour would be more flavorful and fragrant. This type of flour though was not available at the time but King Arthur started selling a similar flour although some bakers said the pizzas they baked with it didn't have the same aroma and flavor. How can they tell with all the toppings on the pizza? Texture, maybe, and bite too but I'm not sure about the "fragrance" of the dough. I bought a small bag of imported Italian 00 flour from our local grocery store, Giant, so probably they will start appearing in most stores. One thing for sure with this flour, it makes perfect Neapolitan style pizza with its signature crispy tender crust. I have to bake another batch with minimal toppings using this flour and ordinary all-purpose flour for a taste and aroma test. Had I known earlier that confit of cherry tomatoes is so good, I would have made it and often. The tomato confit is slightly sweet and has intense tomato flavor with a hint of garlic and herbs. I just love it on top of slices of freshly baked crusty bread or pasta. I found a recipe for Italian clam soup with added tomatoes but instead of making soup I topped a few steamed clams with the cherry tomato confit and had them for lunch with a few slices of bread smeared with the oil and garlic from the confit. What a wonderful delicious lunch I had. It's that time of the year again to enjoy all-meat no-beans chili so I'm re-posting the recipe for my all-time favorite, Authentic Texas Border Chili. The secret to a better tasting chili is roasting the cumin seeds before using. The one thing I really don't like about store-bought chili powder is the [offensive] raw flavor of cumin seeds which ruins almost all the food it's added to. Enjoy this flavorful chili with saltines, oyster crackers, table water biscuits, or on top of hot dogs, pasta, pre-cooked pinto beans, and steamed rice. Expensive bottled raw sugar syrup being sold in grocery stores had me scratching my head. Why buy them when one can just simply boil water and raw sugar crystals to make syrup. Well, I also could not understand people paying insane amount of money for bottled flavored water and for Starbucks coffee. Apples apples apples! I just love apples. Cakes, muffins, ice cream, pies, you name it, I'll eat it. Today it's an easy baked apple crisp topped with walnuts and oats, the recipe adapted from here. The apples I used called zestar, an early autumn variety, were very fresh from a local apple orchard. They're crispy, tart, and a tad sweet; great for snacks, salads, and baked desserts. My refrigerator and freezer have lots and lots of egg whites. I've already used a few cups for cookies and other desserts but the containers always seem full. Omelet to the rescue! I added chopped kimchi and scallions to the beaten egg whites, cut the omelet into rectangles, and layered with roasted nori (seaweed) and rice for a healthy meat-free lunch. Simple, delicious, and satisfying. One of the cooking ingredients that is not easy to find in grocery stores is pistachio paste or butter. However, in recent days, pistachios in shells or roasted shelled started to have a significant presence almost everywhere, from the local grocery stores to Walmart and Target, and of course online stores that sell nuts in bulk. I bought a 3-pound bag of shelled raw pistachios because I wanted to make paste to use for ice cream and baked goods. The roasted ones are just too brown and produce an odd color that is not too appealing. It's been a long while since I made macarons. They are time consuming to make and the process gives real meaning to "labor intensive". Even writing down the recipe is a chore. Hahaha. But the end result is very rewarding, specially this batch flavored with Philippine limes, calamansi. The recipe is adapted from Piere Hermé's Lemon Macarons from his book MACARONS. They are sweet and tart and utterly delicious. I urge you to try making them at least once. You won't be disappointed. I love the fluffy soft King's Hawaiian Sweet Rolls but they are cloyingly sweet for me. A lot of copycat recipes online also have a ton of sugar and some have pineapple juice. Because...Hawaii. Um, yeah. On the list of countless ingredients is potato flour. According to numerous baking blogs, addition of mashed or flaked potato makes breads extra moist and fluffy soft and it also helps in keeping the bread stay fresh longer. Have you heard about thedeep fried corn potage or soup introduced at KFC Japan early this week? It's crazy, I know, but it certainly got my attention. Looking at the photo of the of the fried "soup" nuggets, a Fillipino snack/dessert pudding called Maja Blanca which is made of coconut milk, sweet corn kernels, and cornstarch immediately came to mind. It also reminded me of the Spanish sweet snack Leche Frita, literally fried milk, but is actually chilled pudding, cut into squares, dipped in egg and bread crumbs, then fried. I can't remember if I've had Rum Raisin ice cream before. There are several ice cream brands that sell the flavor but since I have a great ice cream machine and the best ice cream cookbook, I'm not inclined to go out and buy a pint. I adapted David Lebovitz's recipe using my homemade almost 6 years old Kumquat and Star Anise Rum and all golden raisins (sultanas). I also omitted the orange peel in the recipe. The ice cream is rich, very creamy, delicious, and quite addicting. The last week of August, I noticed that some trees in my area have their leaves starting to turn already. We've had very cool mornings and only had few 90°F days all summer which explains the early autumn feel. And, of course, at the first whiff of autumn airs, apple pie had to be baked although officially autumn doesn't start until September 22. I think this is my third or fourth blog post about the Philippine cookies called Paciencia. I maybe a bit obsessed with these tiny crunchy cookies inherited from the Spanish, of course. It's the smooth shiny top I've wanted to replicate but is elusive to me so far. Oh, well, there's always a fifth or sixth time for trying. For this paciencia baking adventure I added ground black sesame seeds to half a recipe adapted from Recipes of the Philippines handbook omitting the baking powder and reduced the amount of sugar. I added 2 tablespoons very thick blackcurrant sauce into another half recipe. The blackcurrant flavor is strong, not just a hint and the sesame seed is not only delicious, it's also nutritious. One website says consuming black sesame seeds regularly may restore the color of graying hair; I wonder if it's true. There's no harm in trying I suppose. Anyway, I love both flavors, really great for afternoon munchies with a cup of milky English breakfast tea. I love small food items, specially baked ones as they are easier to eat, plus for portion control. When I saw a pan with tiny shallow wells, I just had to get one. The pan makes mini cookies and muffin tops. The package has a recipe for salt caramel brownies and a suggestion to serve them stacked skewered on a stick which is a great idea for parties. Bacalao or dried salt cod is usually served during Holy Week in the Philippines and Christmas in Spain, Portugal, and Italy. I was in the mood for a light lunch and thought of making salt cod omelet. It has very few ingredients but very flavorful and satisfying. If salt cod is not available in your area you can salt and dry cod fillet at home. It will take a few days to cure but it will be worth the wait. I love browsing the aisles of the Asian grocery stores. I always find something interesting such as the jars of lotus rootlets or stems either pickled or in brine. I got one jar in brine and searched from one of my Thai cookbooks for a recipe and lo and behold, there's a recipe for tofu green curry with lotus rootlets. Perfect! I got hungry for ramen, particularly tsukemen, while watching The Mind of a Chef on Netflix streaming. Who wouldn't be? I searched online for recipes, combined them, and made my own dipping ramen at home. I cooked a portion of Chinese-style fresh egg noodles and a small bundle of Japanese dried egg noodles. The dipping sauce is supposed to be thick, oily, salty, and sweet and should cling to the cold noodles. I had it with a boiled egg, thinly sliced pork belly, fish cake, and pickled seaweed. This dish is truly delicious and perfect to have during hot summer days. After a long long pause I decided to write a review of a novel again. I occasionally wrote short reviews and recommendations in the past but had gotten tired and stopped. This book however compelled me to write one, not because it was amazingly great, but because I did something that I never have done before with any other books no matter how boring, i.e. I stopped reading at page 105 and NEVER finished the book. I didn't want to torture myself and so this is the very FIRST TIME I abandoned a book. The quite lengthy book at 455 pages is a mystery/crime which is one of my favorite genres. 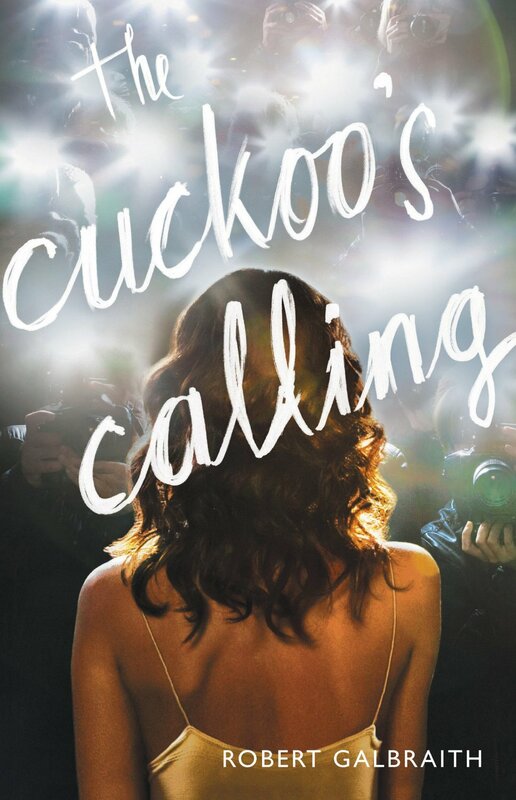 The main characters are Cormoran Strike, an Afghan war veteran turned Private Eye and his supposed to be just a temporary female assistant, Robin. The P.I was hired by the brother of a young model who committed suicide to find out if she was actually murdered. I will not elaborate on the story but will list down the reasons why I didn't like the book one bit. The story is very simple which is not a bad thing but there is nothing new, extraordinary, or exciting to this novel. It's just same old same old "is it suicide or murder? ", lacking layers and intrigue to reel you in to the story. I was able to guess with certainty the killer very early on. There are too many side stories and descriptions of places and people that serve no purpose. It's as though the author was paid per word. The characters are not well defined. I saw them all as cardboard figures cut out from a template. I waited for distinct personalities to emerge but they never did. They, including the 2 main characters are all dull and have one voice, no distinction between men and women. It's very frustrating for me not to be able to picture in my mind the different people, most specially the P.I. Dropping F and C bombs page after page after page; it's a major pet peeve of mine. Uttering swear words constantly doesn't make a character edgy and cool, nor does it add anything to the story line. I don't know who Rowling is targeting to read this book. I'm guessing she is encouraging her Harry Potter fans to try reading mystery in addition to fantasy. If she wants people like me to read her mystery books, she has to do better. Hiring a really good editor for her next installment of Strike series is a must. I, for one will not be reading the sequel. Korean food has been a top favorite of mine since the 80s. When I went in 1987 I only had excellent restaurant food but sadly never tried their street food. I'm still discovering lots of yummy Korean dishes with the help of food blogs and of course YouTube where I saw a favorite street food called hotteok, a fried pancake filled with brown sugar. They look very similar to the Filipino piaya but with different dough ingredients. I've always wanted to make knish but kept forgetting until it was mentioned and became somehow significant to the golem in my 2013 favorite book, the most fascinating and captivating fantasy novel THE GOLEM AND THE JINNIHelene Wecker. If you love fantasy, adventure, historical fiction with mystical, magical, and hint of romance elements, then this is the book for you. I can't recommend it highly enough. For Syrian part of the book, there's a baked cheese dessert called Kanafeh which I will try to make next time if I can find all the ingredients. It was more than 25 years ago when I cooked moussaka. I can't remember the recipe I used which came from a magazine, probably Good Housekeeping. A niece asked for a recipe and luckily I have one in my Greek cookbook. After posting the whole recipe on her Facebook timeline, I suddenly wanted to make too. I have forgotten that Moussaka is really yummy! For Independence Day dinner yesterday, I charcoal grilled a moderately sized tri-tip steak. We seem to eat like birds because there's still a big chunk of leftover. Today, I diced a few slices and added to sauteed mushrooms and filled whole wheat folded flat bread. Delicious and satisfying sandwich/es! Why would anybody make or eat these teeny, at less than 2 inches, pancakes? Because they're fun, I suppose, specially with smoked cocktail wieners and breakfast sausage patties or simply with maple syrup and fresh fruits. The recipe I followed for these pancakes doesn't have butter or milk, just a cup of sour cream. They are very soft and fluffy, not too salty nor too sweet. Ramps or wild leeks are only available for one week in early April every year. I was lucky to find them last weekend at the farmer's market. Although I've read about them almost 2 years ago I never had them until this week. After sauteing them in smaltz (rendered chicken fat) and making compound butter with them, I now understand why these are so beloved by professional and home cooks alike. They have a mellow sweetish garlicky flavor when blanched or lightly sauteed enhancing the taste of whatever you add them to. I especially love them with eggs, I don't know why. Do you have overripe bananas sitting on the kitchen counter? You can either freeze them with their skins still on then dip in chocolate or mash and make into yummy cupcakes or breakfast muffins. Add crunchy peanut butter to the cake mix then top the cakes with caramel or coffee flavored meringue frosting and your breakfast is good to go. For a healthier frozen dessert I used bananas and added a swirl of pureed frozen blueberries. The bananas are sliced, frozen, then processed until smooth. The creamy bananas have no added sugar but I added a tablespoon each of sugar and heavy cream to the blueberries. It has a little bit of bitterness probably because the bananas were not overripe or I didn't fully remove the fibrous membrane on the bananas. I still like the frozen dessert though. Next time I'll add peanut butter, strawberries, or Nutella. While rearranging the book shelves, the Moroccan cookbook caught my eye and I started browsing. It's been a while since I opened it. I've used it to make almond milk, clarified butter, and stews. I don't know if the recipes are authentic but so far most of the dishes I already cooked were delicious.